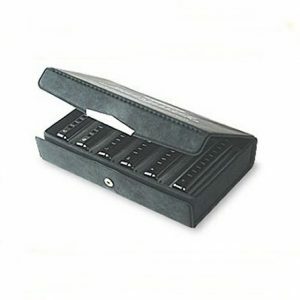 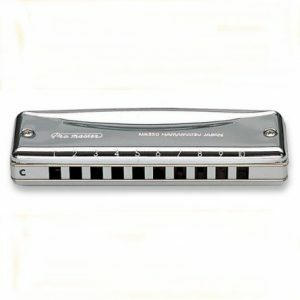 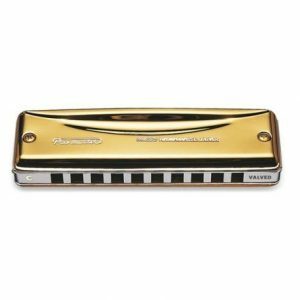 Set of six Suzuki Promasters contain the most popular keys A, Bb, C, D, F and G.
The Suzuki Promaster harmonicas are the professional’s choice. 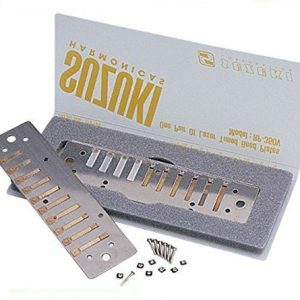 The reed plates are phosphor bronze, and the cover plates are polished stainless steel. 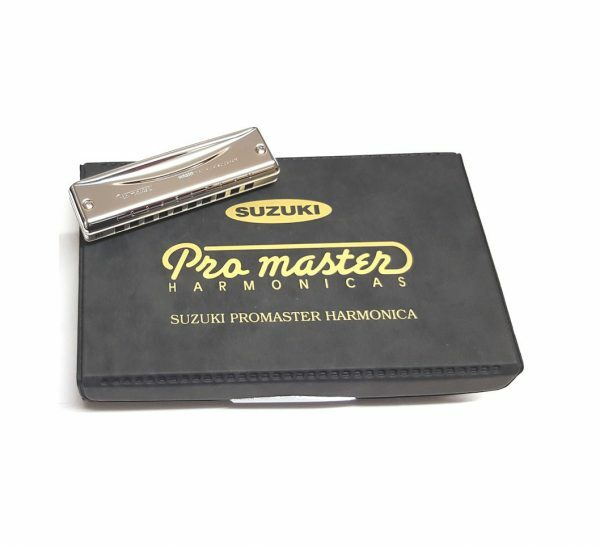 This harmonica is designed for hours of effortless playing and comfort. 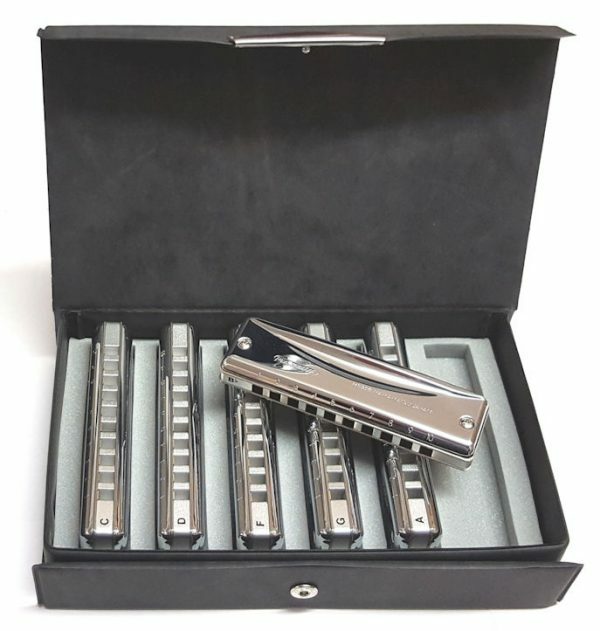 This boxed set comes in a high impact, compact carrying case with a snap lock top and soft foam divided lining that protects the harmonicas and gives quick and easy access.